Veterans fight a different kind of battle with mental illness. Researchers found that the risk for suicide in veterans is higher than for civilians, and 60% of veteran suicides in 2014 were individuals over the age of 50. Female veteran suicides are extremely troubling rising more than 85% over time. Upon returning from duty veterans can often lose their sense of belonging and structure. Some veterans enter into the military with an underlying mental illness that goes undetected so they are more vulnerable when they return. I never thought it could happen to me, but suicide is a growing public health issue, and according to the CDC- Center for Disease Control over 42,000 people in the United States died by suicide in 2015.The rate has increased over the years, and suicide is the 10th leading cause of death in the United States, and the second leading cause of death ages 15-24. The highest risk group is middle aged men, and it is estimated that 20 veterans die by suicide a day. There are several lives impacted, and since suicide is complicated collaboration among health care providers, faith communities, legislative reform, suicide prevention task forces is essential to help those left behind. Survivors of loss can overcome the cascading swell of emotion and confusion that accompany a sudden death like suicide. 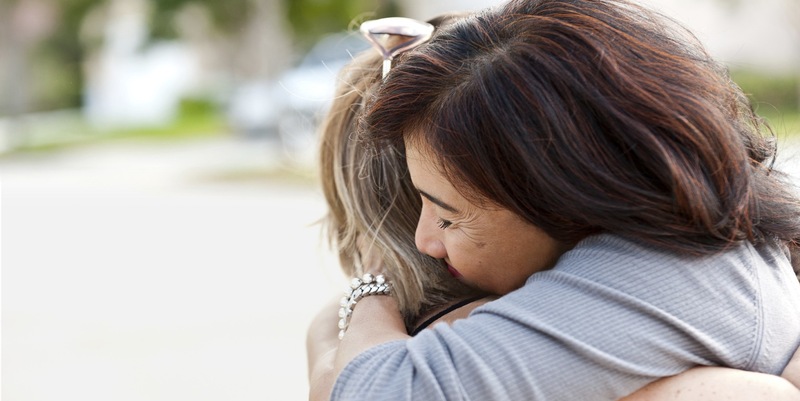 What survivors need is hope, time to heal, and the support of a caring community to help them through their grief, and help them through recovery. It made a difference in my journey after losing my husband to suicide in 2002. My faith was my rock. Recovery is a journey and we can’t do it alone. “Processing grief is a process and a journey”, said Dr. Christine Moutier, Medical Director of The American Foundation for Suicide Prevention (AFSP). Suicide loss can be more complicated, because of the stigma associated with it, but we can change that by talking about it. The Saturday before Thanksgiving in November is International Survivor of Suicide Day. On November 19, 2016 Communities throughout the world will come together to offer healing and hope to those who have been affected by suicide loss. Click for more information. AFSP.org Survivors outreach program offers peer support for survivors of suicide loss. Contact survivingsuicideloss@afsp.org. Loving Outreach for Survivors of Suicide-LOSS is offered through Catholic Charities, and holds meetings locally. Go to catholiccharities.net for a location near you.